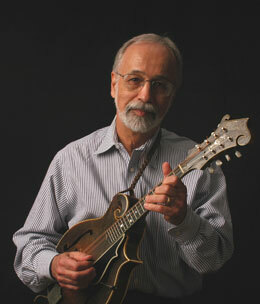 Roland White's unmistakable sound combines the vitality, soul, and infectious rhythm of his mandolin style with harmonic sophistication and warm vocals. A fantastic assemblage of Bay Area bluegrass stars enhance the evening, including fiddle ace Laurie Lewis, banjo whiz Keith Little, banjo picker extraordinaire Patrick Sauber, and primo bassist Bill Amatneek. Roland’s distinguished career includes stints with the Kentucky Colonels, Bill Monroe's Bluegrass Boys, Lester Flatt's Nashville Grass, and the Nashville Bluegrass Band. In the process, he has left an indelible mark on bluegrass tradition in both its classic and progressive forms, and garnered a host of Grammy nods in the bargain, notably a nomination in the bluegrass category for his newest CD, Jelly on My Tofu.